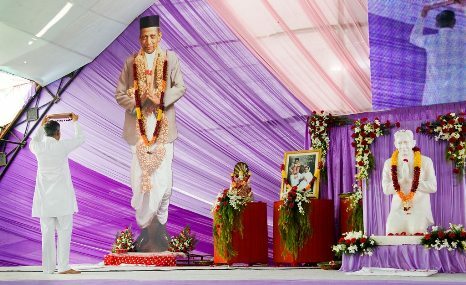 Param Pujya Dadashri's 104th birth anniversary was celebrated by thousands of followers / new seekers from all over the world in presence of Pujya Deepakbhai during 5-9 November at Baroda, Gujarat (India). The event started with grand opening ceremony by Pujya Deepakbhai at the specially erected celebration site admeasuring around 700,000 sq. ft. The special highlights of this event were Pujya Deepakbhai's satsangs (spiritual discourses) where anyone could ask questions and seek solutions relating to spirituality as well as day to day life issues. 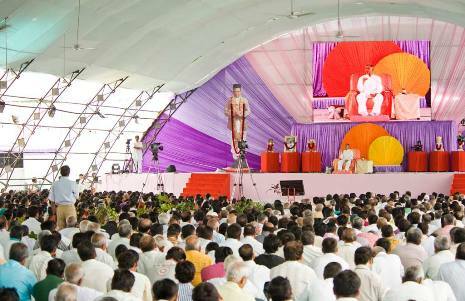 A Self Realization Ceremony (Gnan Vidhi) was also arranged for new seekers wherein 2,700 people took Gnan. Param Pujya Dadshri's spiritual science was explained in unique ways using multiple medias to convey the message in a simple and lucid manner. The main attractions of the event for visitors were Theme Park, Children Park and 360° parenting. Darshan and Prasad were arranged for all visitors aggregating to around 15,000 on the day of birth viz. November 9th.